Petrol-Is: Host of the 2011 LabourStart Global Solidarity Conference in Istanbul. We’ve been asked by IndustriALL to launch this new campaign targetting union-busting in Turkey. The union being busted is Petrol-Is, the energy workers’ union which hosted the 2011 LabourStart Global Solidarity Conference in Istanbul. Petrol-Is were very helpful and generous towards us when we needed them; now it’s time to show them how supportive we can be when they need help. I’ve just gone through the reports from CreateSpace and Amazon and am happy to report that in less than 22 months, LabourStart has distributed 5,651 books. Of those, 2,442 were Kindle editions offered for free in August 2014 over the course of five days. The rest — 3,209 — were sold. 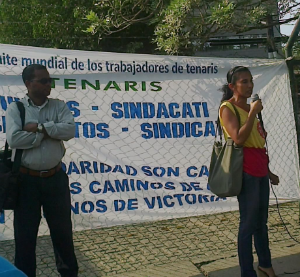 We’ve been asked by IndustriALL to launch a campaign this week in support of a worker in Colombia who’s been treated exceptionally badly by his employer — to the point where he recently attempted suicide. 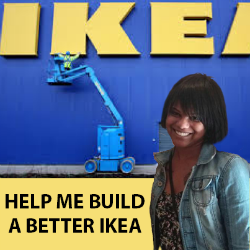 And the United Food and Commercial Workers (UFCW) in the USA has asked us to launch a campaign to pressure IKEA to play fair with its workers. These campaigns are being rolled out step-by-step over the next few days, as I’m travelling all week, not back at my desk until Friday. Pete Moss is a LabourStart correspondent based in Australia. He’s just returned from a visit to Indonesia. A week in Jakarta meeting union leaders and activists during August taught me two things. Firstly, this is a period of great opportunity for the Indonesian labour movement to build strongly on gains made in recent years. Secondly, any international support will be warmly welcomed, including from LabourStart, which is well known and respected among Indonesian unionists. Unions have won massive gains over the past few years, including a national social security system that will deliver pensions and healthcare for all. The three major union confederations also came together in 2012 for a mighty campaign that delivered a 44 percent increase in the minimum wage. This year Indonesia successfully concluded elections that position the archipelago as the leading democracy in South East Asia. Continued economic growth in this resource-rich diverse nation of 250 million will position Indonesia as a global powerhouse. The underlying conditions are very positive but inequality is also increasing. Unions face many battles to ensure that workers and their communities are fairly rewarded. One challenge springs from the scattered structure of the labour movement, which at last count included six registered confederations, 91 federations and 437 enterprise unions. This vibrant movement has emerged only since 1998, when protests brought down the New Order regime and ILO conventions were ratified. This year the movement divided over the July presidential election. Unions actively intervene in politics, but there is no united strategy and no social democratic or labour party. Labour Start has a positive profile and universal recognition among the union leaders and labour activists I met. Particularly appreciated are Labour Start’s Indonesia campaigns, including two for the IndustriALL-affiliated pulp and paper union so far in 2014. Several local unionists are active Labour Start supporters, including Indah Budiarto, Nelson Saragih and Khamid Istakhori. Indonesian unionists are keen to further enhance links with the international movement. Union training was cited as one area where assistance could make a real difference. Remember the campaign we launched in May at the LabourStart Global Solidarity Conference in support of striking German workers at Autogrill? 5,930 people signed up to support, though it only appeared in English and German. In addition to doing a series of sessions for Unifor, the largest public sector union in Canada, we’ve also recently done a session on LabourStart itself at union conferences in Alberta and New Brunswick and just received an invitation to do a session on international work for the Halifax Labour Council in late October. I don’t know quite why this surge in interest but I suspect it has something to do with some generational turnover in mid- and senior-level trade union leadership. The people now moving into those positions have kinda grown up with LabourStart. In any case, so far we’ve been able to say yes to all the requests. This is a much-shortened version of the monthly report, as it’s already mid-September and due to my holiday, the report had to be delayed. So this time, it’s just focussing on the 20 biggest mailing lists. Growing lists are shown in green; shrinking lists are in red. The previous month’s total is in brackets. The third number — in italics — is where we stood one year ago. The following lists have gained 1,000 or more new subscribers (net) in the last 12 months: English, French, German, and Korean. In the same period, the Polish list has nearly tripled in size, and the Indonesian list has more than doubled. Summer’s over — three campaigns in one week! 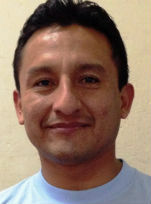 Luis Cardenas – beaten up for his trade union activity. UNI has given us this campaign — we’re beginning publicity today. It involves the defense of trade unionists facing physical violence for their union activities — always a top priority for us. We’ve also been asked by BWI to help promote their new campaign supporting forestry workers in Malaysia. We’ll get the word out about that today. Finally, IndustriALL is likely to be asking us to do a campaign in support of a worker in Colombia who’s been engaged in a 13 year battle to get compensation after a workplace accident, and who recently attempted suicide.